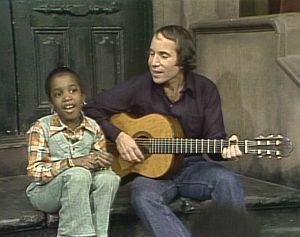 Paul Simon’s song, “Me and Julio, Down by the School Yard,” demonstrates by its title that neither “Julio” nor “I” spent very much time inside the school building. The phrase has an error, arguably two; do you see them? The second error is not so debatable. It has to do with the order used: Always mention yourself last when naming a series of persons. If your ego tempts you to put yourself first, just think of it as “climactic order,” in which the best is saved for last. This rule also applies to the first person plural, “we.” The need for “we” in a series is fairly rare, so it sounds odd: “Julio and we were down by the school yard.” Nonetheless, it is correct. Most moderns would say, “Julio was down by the school yard with us,” and that is also correct. Some authorities say that this is not a rule of grammar, but rather, a rule of rhetoric. In other words, the formal structure of the language does not require that the first person pronoun be last in a series; however, failure to do so is universally considered to be bad form in both American and British English. Hey, it’s OK to have grammatical mistakes in poems and songs, especially if the usage contributes to the rhyme, rhythm or context. You would not expect two kids down in a California school yard, doing something that was “against the law,” to be concerned with correct syntax! In all events, you should avoid constructions like “Me and so-and-so . . . ” not only because it is wrong, but also because it is a “social marker” (like “ain’t”): it exposes your inability (or unwillingness) to speak correctly. Usually, that’s the wrong impression you wish to make on other persons.